Before you migrate your data to NetSuite, it’s important to build a NetSuite implementation team that will steer the project, fix issues as they arise, and ensure a smooth integration process. Put bluntly, a migration of data to NetSuite simply won’t work without having a dedicated team in place. But how do you choose whether to take on permanent or contract workers to fill out your team? “NetSuite implementations can range from quite small and quick implementations of just core functionality to very large, complex, and ongoing development projects. For this reason, there is no single answer for who needs to be on a project team and for how long,” explains Rob MacEwen, Managing Director at Audaxium. Rob’s insight tells us that a business must be agile and mindful of their individual circumstances when implementing NetSuite. 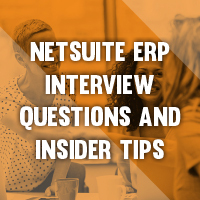 With that in mind, it’s time to look at how you can decide on the makeup of your NetSuite implementation team. Firstly, it’s important to recognize that a NetSuite data migration has a huge effect on a business and the way it runs, both in the short term and the longer term going forward. Moving such a potentially huge amount of information from a legacy system to a new platform is disruptive, and affects far more people in the business than those who use NetSuite daily. 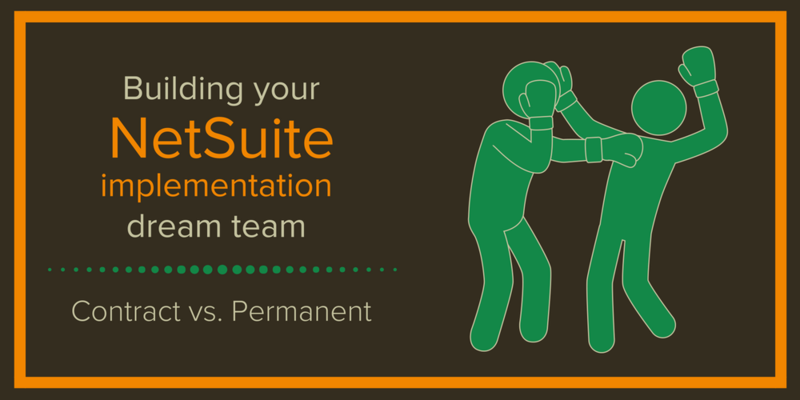 However, the role of the NetSuite migration team is less technical than you may expect. They won’t all be spending the entire working day slaving over fields and CSV files. Instead, their’s is often more of a preparatory role, with the bulk of the team’s task list filled with ensuring reports and forms are present and correct. They will also spend time establishing dashboards that contain all of the relevant information, set up in a way that is conducive to the work of the larger staff in your business. They should also be able to communicate well with other employees within the company. A list of the staff who use the data that is set to be migrated, and what role they will play in the implementation. Whether they input or output the data (or both) is also noteworthy, and can be useful after the NetSuite data integration. A list of the custom reports and standard reports that these members of staff use daily and rely on to do their jobs. A detailed breakdown of how various heads of department and team leaders will be utilized during the NetSuite data migration is an essential part of the NetSuite migration team’s work. This should lay out who will be placed in an advisory role (giving feedback, ideas, and recommendations from a detached position), who will have a technical focus on analysis and data management, and who will assist with technical aspects, such as data preparation and the import process while also acting as an adviser when necessary. Assurance that the technical requirements are well established. This means outlining the requirements for data export, formatting and preparation, as well as form formatting. A rough ‘time budget’ for how long department leads within the NetSuite migration team should spend on the migration process. A plan for communicating the above to all relevant parties, including any external resources (accountants, agency staff, etc) who will be affected by moving CRM and ERP data from a legacy system to NetSuite. Now you know what a NetSuite migration team needs to be doing, it’s time to take into consideration just who should be in your NetSuite migration team. Your team needs to have inherent diversity, a range of positions, roles and skills from throughout your business that will give the migration team the scope and perspective necessary to ensure the data migration to NetSuite serves the needs of the entire company. To that end, team members should be taken from multiple departments. Each section of your business will use the CRM and/or ERP for different reasons, and so will have different expectations which will help you define a successful migration. They can also prove invaluable in instructing on what data does not need to be carried to the new system. “At the most basic level, a company that is implementing NetSuite should have somebody in each department who can be considered an expert in how NetSuite works in that area,” says Rob. “This often means getting people properly trained. A common mistake, for example, is saying, ‘Our CFO knows finance, so they should be good to implement NetSuite.’ Finance as a general topic area doesn’t deal n NetSuite best practices. Of course, the big question is, how should you choose how many permanent and contract staff you include as part of your NetSuite migration team? Your NetSuite implementation team will ideally be made up of department leads from around your company, developers, and what are often referred to as ‘external resources’, such as contractors and an implementation partner. “Often a successful project team will include both Permanent and Contract staff, adds Jon Ryan, Managing Director of BlueBridge One. “With a platform as complex as NetSuite it’s vitally important that the overall team has the various product and technical skills as well as the experience to ensure a successful migration. While there are pros and cons to take into consideration when deciding the number of permanent staff and contractors that will make up your integration team, for many the choice will simply come down to existing resources and time. 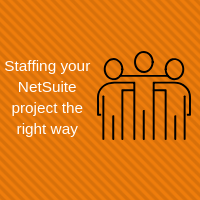 If you have the staff numbers to draft an acceptable NetSuite implementation team, a team that can see the process through to its conclusion, then you may be unlikely to seek external help. If, however, you start an ERP/CRM migration without adequate resources and a manageable timescale, then you run the serious risk of overworking your team and ending up with a below-standard integration that can cause real problems down the line. There are two ways of solving this issue before it becomes a problem. The first is to utilize your existing staff. They know the business and its goals, they are invested, and they know what is needed to ensure success. On the other hand, they are likely carrying out a full workload on any given day as it is, and taking them away from that could impact you elsewhere. The second is, of course, to utilize contractors. Contractors come into your business with benefits including fresh eyes, the ability to see the project from a new, objective, point of view, and are focused solely on the NetSuite data migration process, leaving your existing team to their day-to-day tasks. Both contractors and permanent staff come with experience that is vital to a successful implementation. Let’s start with the permanent staff; they are the ones who are more likely to know more about your business, as they live and breath it every single day. Permanent staff can inform on the most essential fields and data to be carried into NetSuite. They are also the ones who will be using the system after the NetSuite data migration is complete, and so can offer vital insight and instruction for the good of the company and the rest of the team. Conversely, contractors most often come with a different type of experience. They are more likely to be specialists, NetSuite experts who have been in multiple companies with the express purpose of aiding the data migration and integration process. As such they will bring a more generalist approach, but with less of the specific and in-depth knowledge of their permanent counterparts. Jeremie Pettigrew is a Senior Consultant and Business System Analyst at Big Bang ERP and believes that businesses should leave ERP implementation to the experts, as a poor implementation can set you further back than when you started. “An ERP implementation project is not your core business,” explains Jeremie. “If not done right, you can put a lot of other profit-generating activities at risk or messing up the implementation and then requiring a more costly (time and resources) rescue mission. While it should never be the deciding factor, it is unavoidable that cost will factor into any decision made in the choice between permanent and contract staff for your NetSuite implementation team. The fact is that a contractor can cost double the amount that you are paying for a member of your team (if not more). While this can be worrying when it comes to budgeting, it’s important to remember that a contractor will only be providing you with a billable service for the duration of the NetSuite implementation, which is a relatively short term. If you do not generally need more staff (such as NetSuite developers), then it may be worth spending more in the short term, rather than offering full-time employment that proves to be unnecessarily expensive in the long term. When it comes to bringing in new people for the implementation, the choice (and the cost) will ultimately depend on whether or not you need them to stick around afterwards. Managing the existing workload is usually going to be one of the major concerns for a business when bringing permanent staff into roles on the implementation team. Do you pull them away completely from their current, ongoing work and trust others to take up the slack? Or do you decrease their regular daily duties in order to scale up work in the integration? Needless to say, it’s not an issue that needs to be considered when hiring a short-term contractor, as they will be with you purely to enact the data migration without the distraction of regular, day-to-day work getting in the way. While a contractor should be totally invested in the success of the project (any results reflect on them, after all), it may be that some business owners would see permanent staff as having a greater sense of ‘work ownership’, due to their full-time employment. However, if you hire a contractor from a reputable source, based on recommendations, then this really should not be a concern to think over for too long. A dedicated project leader for a NetSuite CRM and/or ERP implementation will form the cornerstone of your team. The project leader is ultimately responsible for the smooth running and completion of the process, keeping all individuals working well and working together. If you pick your project leader from your permanent staff, then be sure to consider removing some of their usual duties to streamline their workflow so that they can concentrate on the job at hand. Coming from within the company, they’ll also have a working relationship with other members of the team and understand how to best communicate with them. Appointing an external contractor as team leader may lend the project a different dynamic altogether, depending on the individual of course. As an outside perspective, they may be seen as something of an authority, particularly if they have an extensive history of carrying out NetSuite data migrations as part of an implementation team. Deciding whether to bring permanent or contract staff into your NetSuite implementation team is not an easy choice, and there’s certainly no definitive answer. In the end, it comes down to the points outlined above, and which better suits your circumstances and the needs of your business. 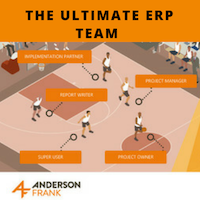 For more insights into NetSuite and how to successfully optimize your business using CRM and ERP software, subscribe to the Anderson Frank blog today. 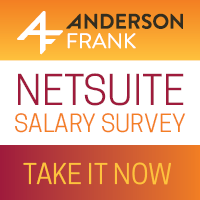 The latest NetSuite news and views delivered straight to your inbox. You can unsubscribe from our emails at any time. What should your ERP implementation team look like? These are cookies which provide extra features to the website. Main functionality of websites will not be affected if these cookies are turned off. By continuing to use this website we will assume you are happy to receive carefully selected cookies.